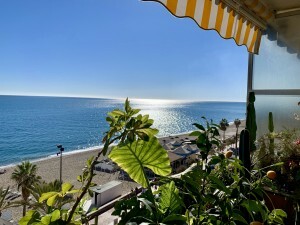 Luxury apartments in Selwo Estepona. Properties on sale with furniture, the kitchen comes fully equipped. 1 parking space and 1 storage room. Apartments with armored doors, wardrobes, air conditioning, underfloor heating, double glazed windows, living room with fireplace, electric shutters, whirlpool bath and kitchen. Luxury community with clubhouse, visitor parking, 24 hour security, cameras, maintenance, pools, gardens and playground. Built size: 180m2. Living area: 125m2. Terrace: 55m2. IBI ? 320 / year Rubbish ? 100 / year.Community: from ? 200 per month.